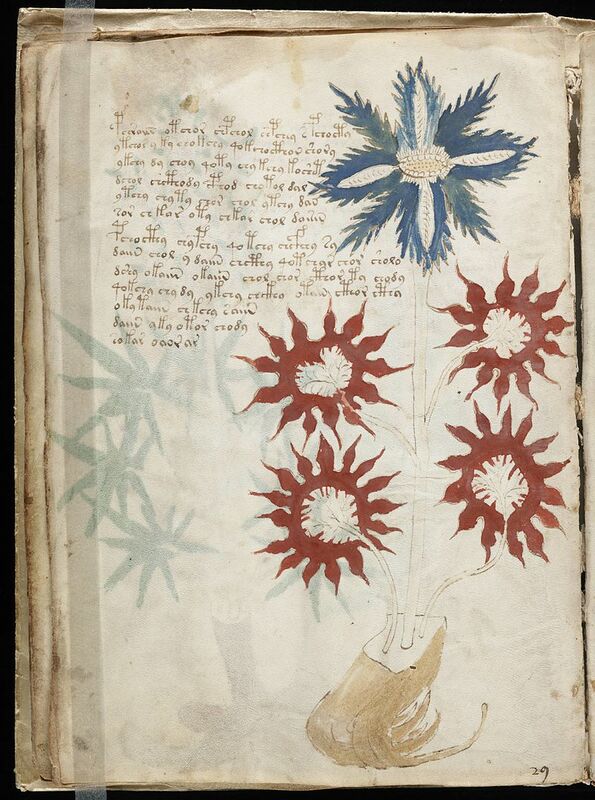 Has AI Cracked The Code In The 'World's Most Mysterious Book' The Voynich Manuscript? Has the mysterious Voynich Manuscript finally been deciphered? 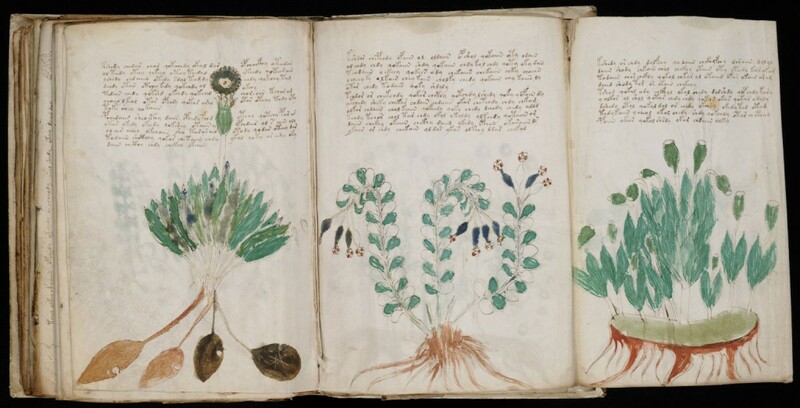 Greg Kondrak, a specialist of the Laboratory of Artificial Intelligence of the University of Alberta (Canada), believes that he has found clues to solve the mystery of Voynich’s manuscript, written with an undecipherable code in the fifteenth century. The Voynich Manuscript is an ancient book, of unknown contents, written by an anonymous author in an unidentified alphabet and an incomprehensible language. Although it is not known when it was written, according to carbon 14 tests, the parchment on which it is written was manufactured between 1404 and 1438. The Voynich Manuscript gets its name thanks to a Lithuanian specialist in ancient books Wilfrid M. Voynich (1865-1930), who acquired it in 1912. It is currently listed as item MS 408 in the Beinecke Library of rare books and manuscripts of Yale University. The ancient manuscript has been the object of intense studies by numerous professional and amateur cryptographers, including leading American and British specialists in code cracking of World War II. The Voynich Manuscript is one of the most mysterious ancient manuscripts ever found. So far, no one has managed to decipher a single word written in the manuscript. This succession of failures has turned the manuscript into the Holy Grail of historical cryptography, but at the same time, it has fueled the hypothesis that the book is nothing more than an elaborate deception, a random sequence of symbols without any meaning. However, Kondrak has resorted to the help of artificial intelligence programs capable of correctly identifying a language up to 97% of the time and, after analyzing the manuscript, has suggested its language resembles Hebrew, reports CTV News. Earlier studies have suggested that the enigmatic manuscript was written in a form of Arabic writing. Thus, the approximate translation of the first sentence of the book would be: “she made recommendations to the priest, to the man of the house, to me and to the people”. Although other experts have not shown much enthusiasm for his work because he uses computer technologies, this researcher recognizes that people who master Hebrew are needed to make sense of the syntax and intention of the words. Kondrak and his team made use of statistical algorithms which are believed to be 97 percent accurate when translating the United Nations Universal Declaration of Human Rights into 380 languages. A page from the mysterious Voynich manuscript. Image Credit: Wikimedia Commons. After having searched for seeking Hebrew scholars to validate their findings, the scientists turned to Google Translate. “It came up with a sentence that is grammatical, and you can interpret it,’ said Dr. Kondrak, ‘she made recommendations to the priest, man of the house and me and people. It’s a kind of strange sentence to start a manuscript but it definitely makes sense,” he said. However, Kondrak notes that without experts in ancient Hebrew, the entire manuscript and its meaning will remain a mystery. It is believed that the ancient manuscript includes references to ‘farmer’, ‘light’, ‘air’ and ‘fire’. “There are so many ambiguous meanings that we don’t even realize,” said Dr. Kondrak. Kondrak explains that there is a lot of work to be done, and deciphering the entire manuscript will need more than just feeding the manuscript to AI, as it requires human input to make sense and syntax.